Don't forget about MidWeek University tomorrow evening! It's ok if you've missed a couple classes - come anyways! Join us tomorrow evening for one of our four incredible classes this semester! Classes start at 6:30 PM but join us at 6 PM in the back of the Worship Center for coffee, a light snack and fellowship beforehand! We'll see you tomorrow! Wrapping Up "Bigger" This Sunday! Join us this Sunday as we wrap up our series called "Bigger." Trust me, you're not going to want to miss this weekend as we close out this series about being on mission as a church and going wherever the Lord leads, no matter the circumstances! Men's Breakfast, Next Saturday, October 5th! Attention men! Make plans to attend the Men's Breakfast Saturday, October 5th at 7:30 AM in the Student Center. Start your day off right with a time of food, fellowship, and prayer! We'll see you there! Baby Dedication Coming Up Next Sunday, October 6th! Attention parents! Baby Dedication Sunday is coming up in a couple weeks! If you are interested in participating, contact Breanna at (828)884-5932 or breanna@brevardcommunity.org and let her know which worship you would like to attend. Church family - come ready to celebrate with these families who are giving their children back to the Lord and trusting Him to provide, guide, and direct their lives and upbringing! What a special time to glorify God through our trust and commitment to Him! See you then! CBA Women's Conference Coming Up This Weekend, September 27th-28th! Ladies, looking for a place to refresh and renew? Make plans to join the Carolina Baptist Association Women's Conference this Friday evening, Sept. 27th from 6-9 PM and Saturday morning, Sept. 28th from 8:30-12:30 PM. The Keynote Speaker is Kimberly Sowell and the theme is "No Truth, No Freedom. Know Truth, Know Freedom." In addition to the main session, there are breakout sessions centered around a variety of topics. Tickets are $30, which includes conference, breakfast, snacks, and lunch. For more information, contact CBA at (828)693-4247. 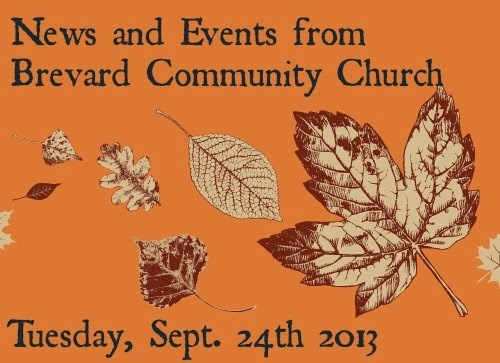 Season of Hope - Opportunities to Serve at BCC! We have so many great opportunities to live out the mission of BCC that you'll hear about in the next couple weeks! Check them out below! Operation Christmas Child - November 18th - 25th.